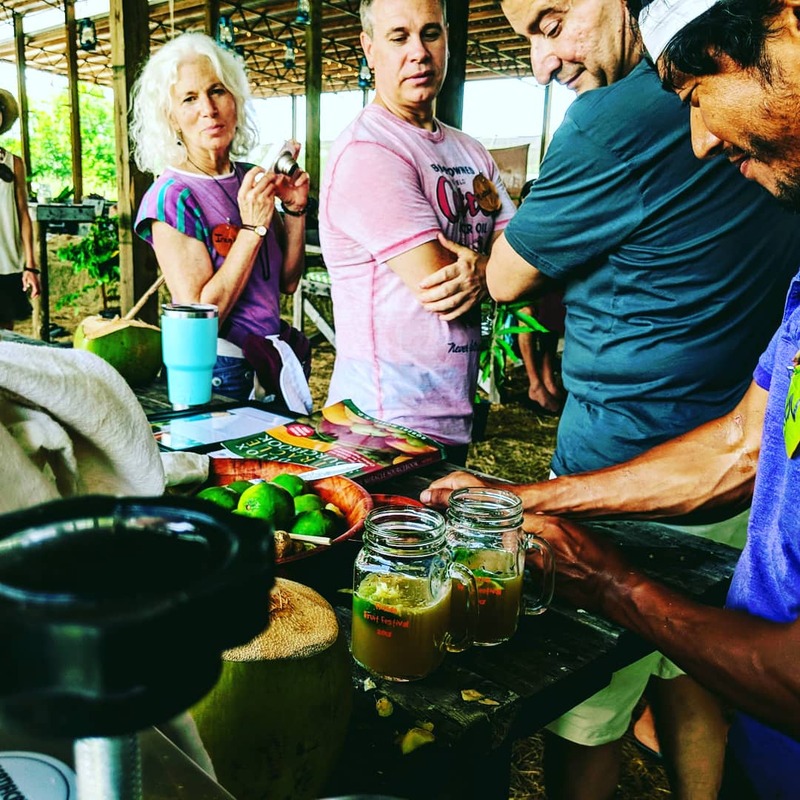 A gathering of health conscious people committed to healing themselves and the planet. Local, organically grown, tree ripened and freshly picked. Join us under the pole barn at Swank Farm, where all the magic happens. Harvested daily and delivered fresh by the farmer himself then pressed into a delicious elixir. 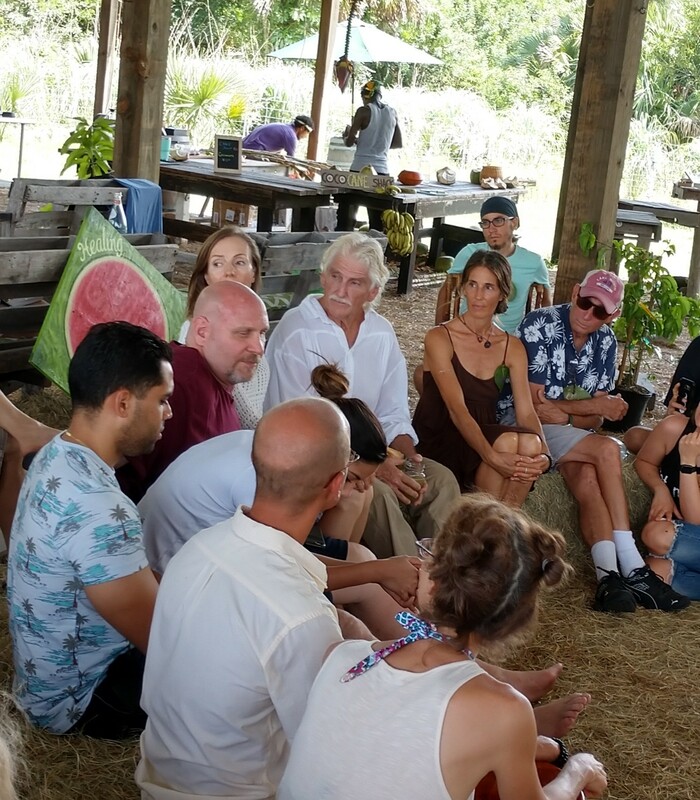 Intimate talks on health, healing, detoxification, animal rights and sustainable living. Crystal singing bowls and chanting. Tree ripened, locally sourced and organically grown, and freshly picked within a few days of the festival start date the fruit is outstanding. All the fruit is Florida grown, all within a 100 mile radius of the festival and much of it within walking distance to the festival venue. Intimate talks around the hay circle, a safe comfortable space where you can learn and grow, ask questions and express yourself freely. All ages, all backgrounds, all walks of life. From various states and various countries, with various experiences in life. 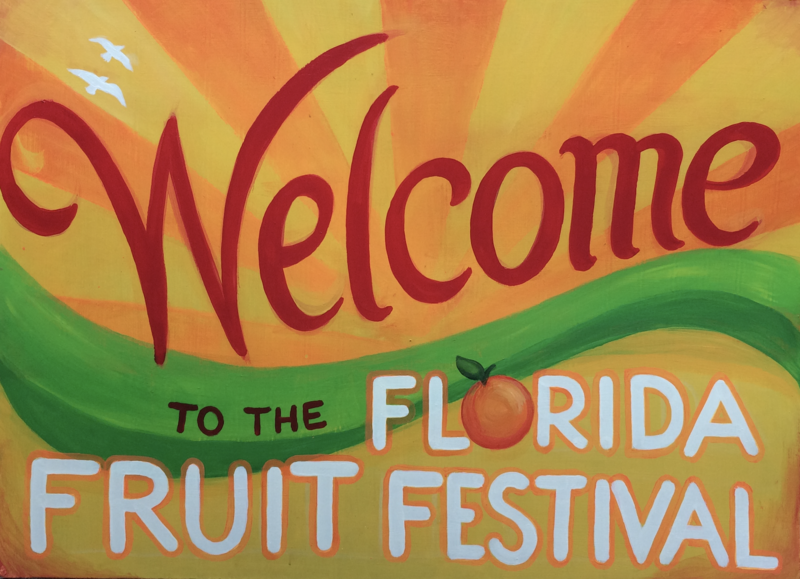 Everyone is welcome to come to the Florida Fruit Festival! A rustic rural setting in Southeast Florida that takes you back in time connecting you with nature and the land. Join us under the magnificent pole barn at Swank Farm where all the magic happens! All Raw! All Vegan! Nearly All Fruit! 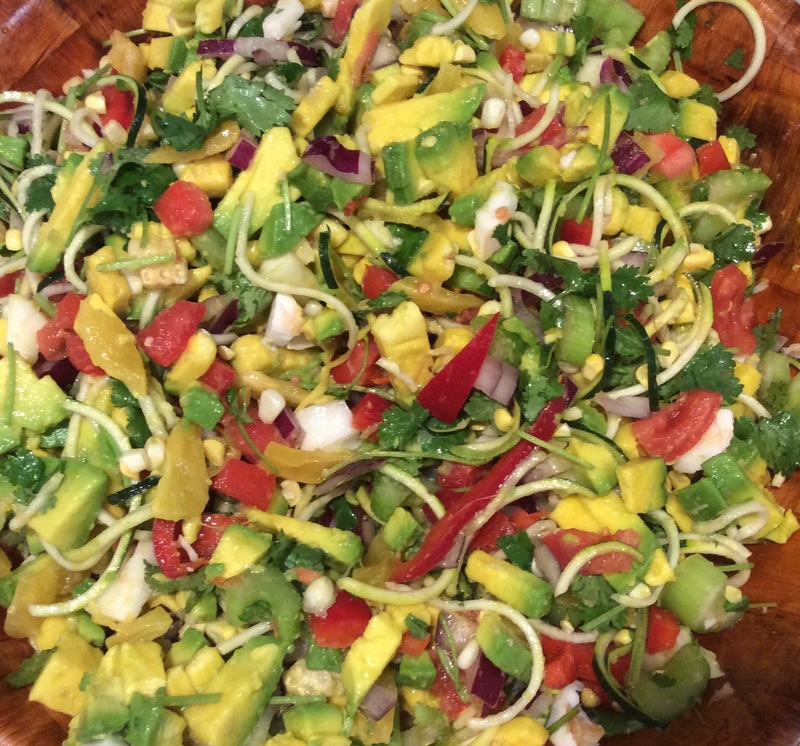 Prepared by raw vegan chefs, the amazing dinner salads are all fruit-based like this photo of Jackfruit Ceviche – YUM! The salads include fruit vegetables and greens and are dressed in light fruit based sauces completely free of oils, nuts and seeds. 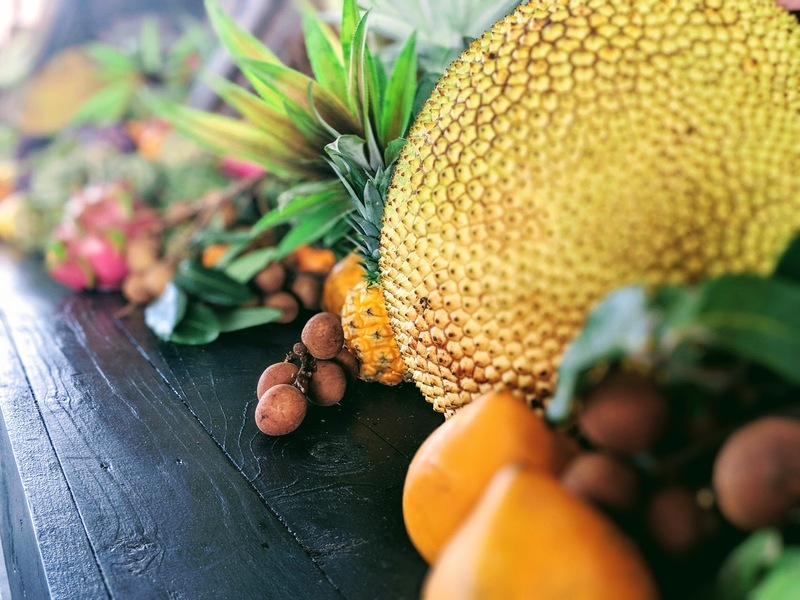 Commited to zero waste, the Florida Fruit Festival is free of single use plastic and disposable products. All the organic waste is composted on site. 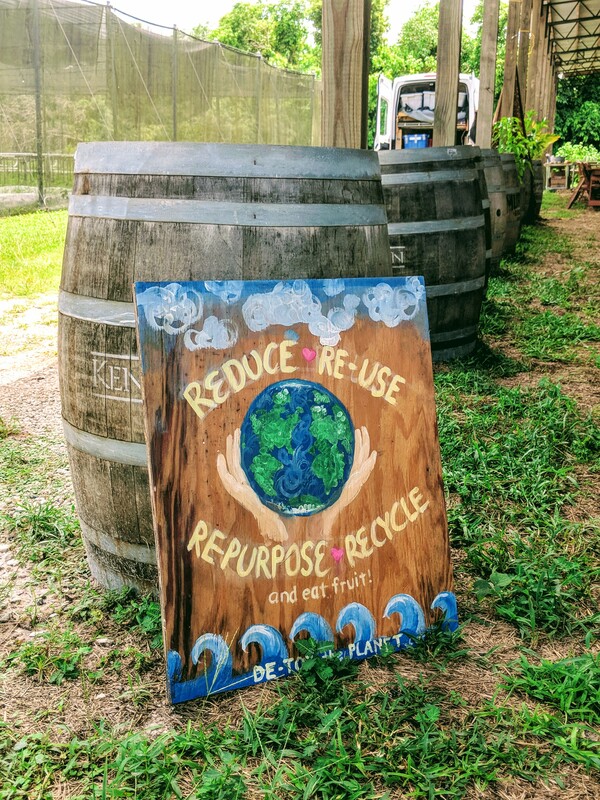 Our carbon footprint is minimal as we source all the fruit from local farms many of which are practically walking distance to the venue. Freshly pressed with manual juicer and lots of love! Served in glass mugs with glass or bamboo straws, fresh ginger and lime. A delicious thrist quenching drink that alkalizes and revitalizes! Each morning we go to the beach for sunrise. 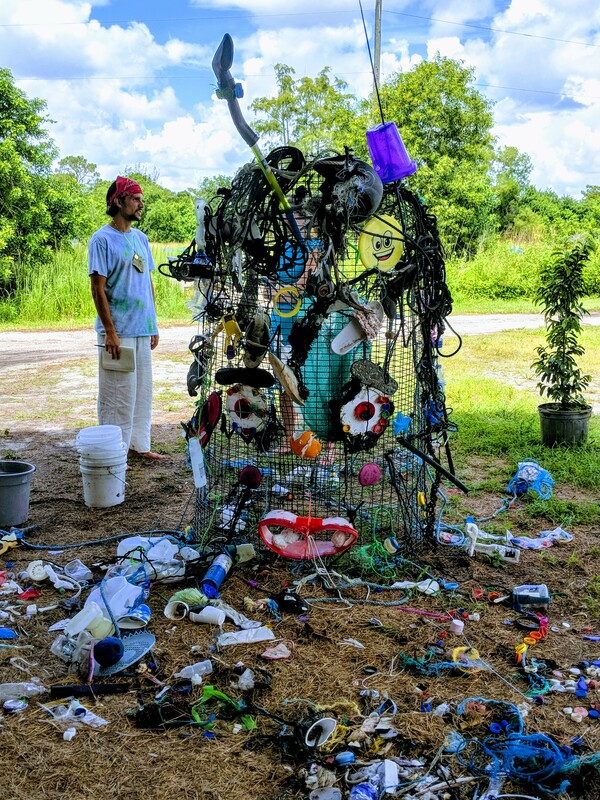 We pick up plastic (which we take back to the farm for the Eco-Art Project), practice yoga, bathe in the sun and swim in the warm water of the Atlantic Ocean. A blissful way to start the day! 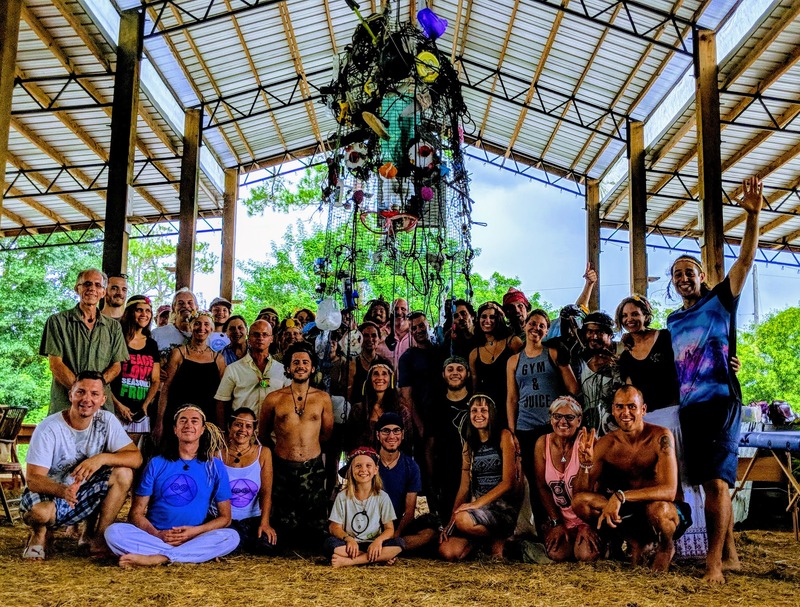 Raising awareness of environmental problems like plastic pollution and inspiring people to stand up and be activists empowering them to be part of the solution is a cornerstone of the festival. 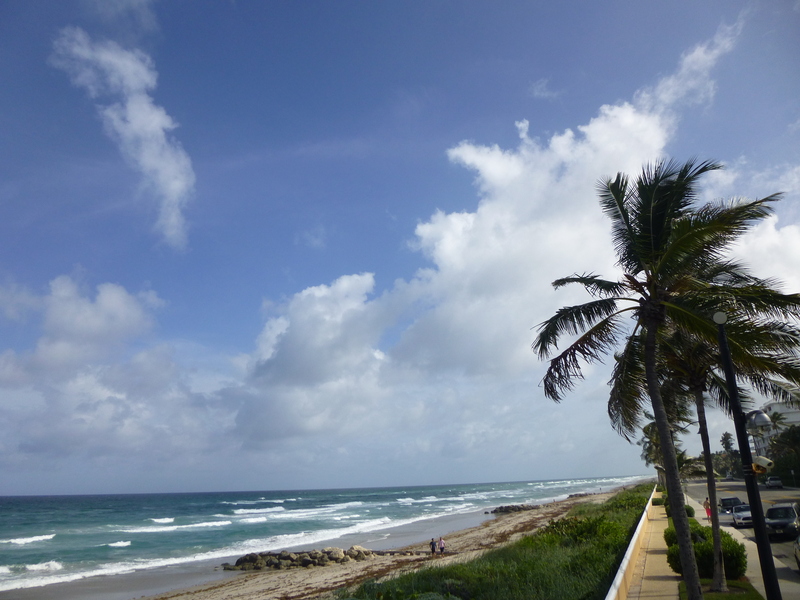 August in southeast Florida is hot and humid. Just relax into it – it feels great! The sultry tropical weather envelopes your body like a warm embrace and is deeply relaxing. While the sun is hot, it is nice and cool under the pole barn.